The e-ayiti project is the result of a partnership between the International Trade Center (ITC), United Nations agency, Instituto-e and Osklen, which aims to promote socioeconomic development solutions through initiatives for income generation and social inclusion. That is why in 2012, Nina Braga, director of Instituto-e, was in Haiti in search of reusable materials that could be handled by the local population and then transformed into fashion accessories. 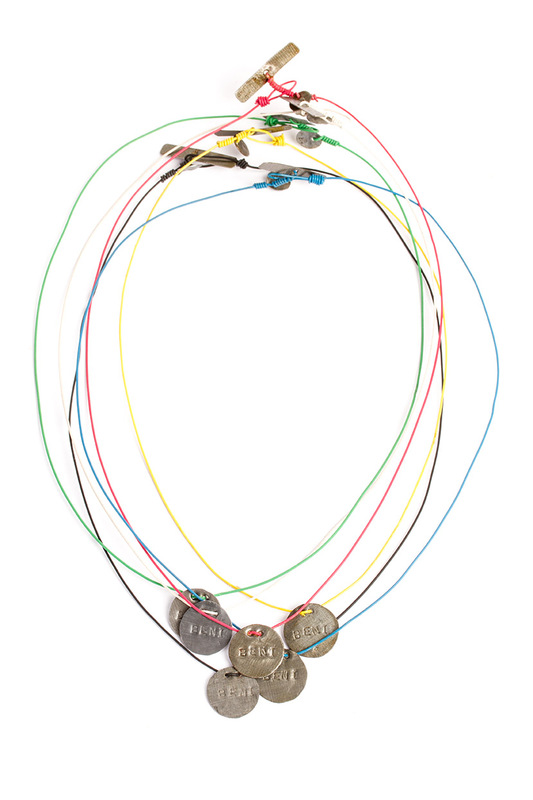 From the talent of the Osklen style team, came necklaces, pendants and bracelets that turned waste into fashion accessories. 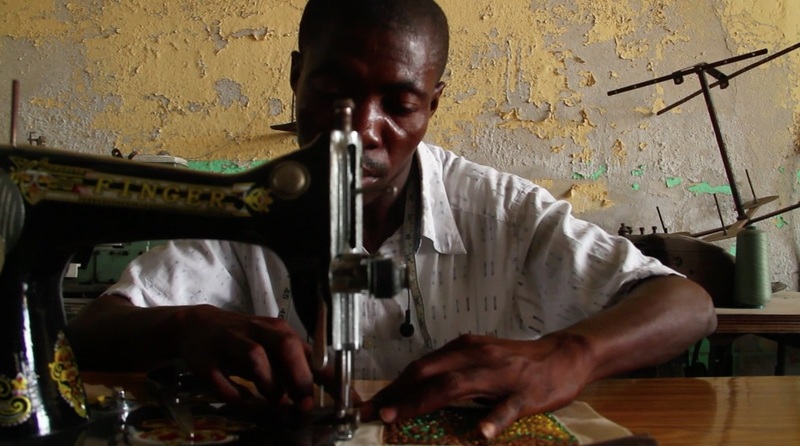 They were produced by local artisans in Haiti and marketed in Osklen stores, both in Brazil and abroad. Since this first batch of pieces – which were a successful sales – others were developed, so much so that one of the designers of Osklen has been to Haiti three times because the quest for excellence that characterizes the creations of this brand is considered a benchmark by our partners of the Ethical Fashion Initiative. 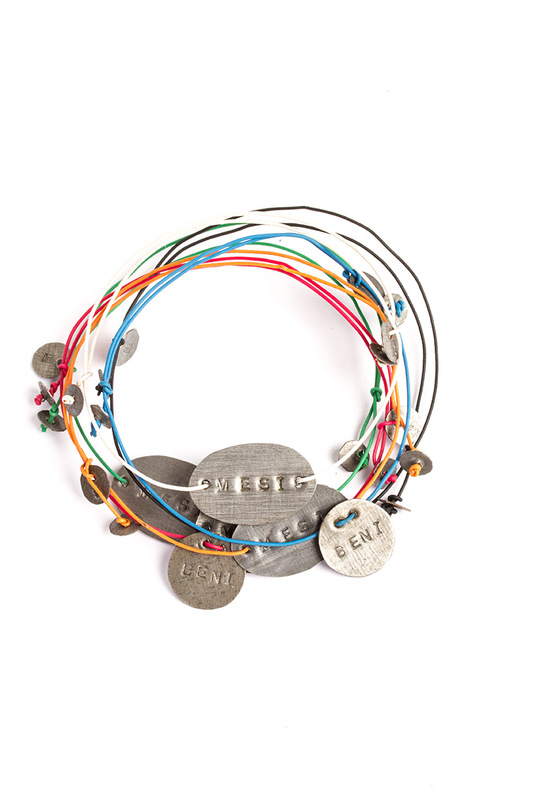 e-ayiti(= Haiti in Creole) is a collection made from materials such as iron reused from oil barrels (using local craft technique called Croix de Bouquets), colored telephone strings and fabrics from remaining tents of refugees fields. 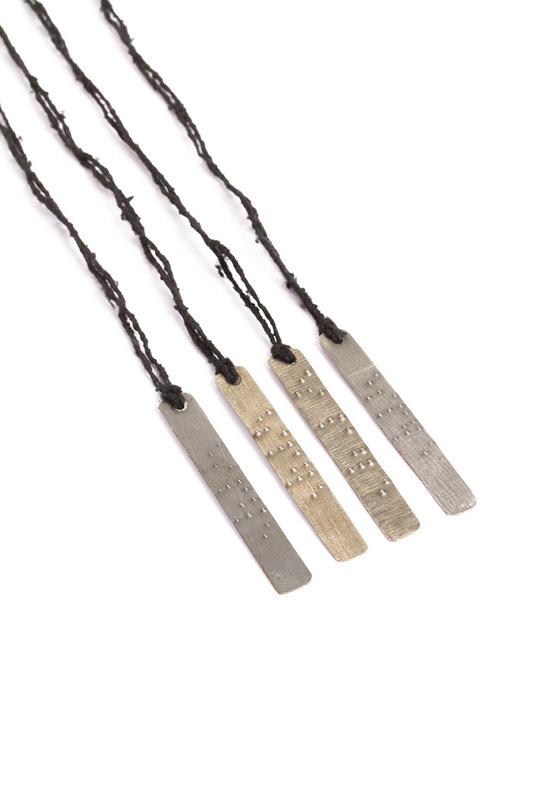 All pieces are engraved with words, chosen by the artisans themselves, in Haitian Creole, on the plates of the bracelets and necklaces were engraved “beni” (blessed) and “mesi” (thank you) and “hope” (hope), the latter in Braille.